Gateway Fencing were engaged and, after consulting with the client and considering all aspects of their requirements, it was decided to install semi-frameless glass with an anodised finish for fuss free maintenance. Due to the large drop-off at the rear of the pool, a top rail was deemed necessary to ensure safety. The installation was completed quickly and efficiently by our team of expert professionals and the client was very pleased with the result. 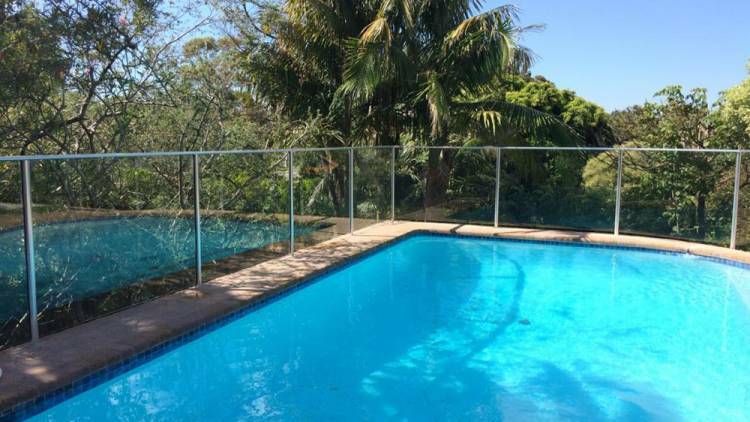 By replacing their shabby old fence with sleek and modern glass fencing, not only have they improved the general amenity of their yard, but they've also increased the amount of sunlight falling across the pool area and added significant value to their home.